Progressive Web Apps On iOS Are Here — Yes, although you can now techincally “install apps on iOS without App Store approval” — there are limitations. Here’s a rundown with what you need to know. Mobbin: Latest Mobile Design Patterns — A growing collection of mobile app design patterns that reflect “the best in design”. Are Mobile Pop-Ups Dying? Are They Even Worth Saving? — If they continue to remain effective, how should designers make use of them, especially in mobile web design? Here’s a look at what the research says. 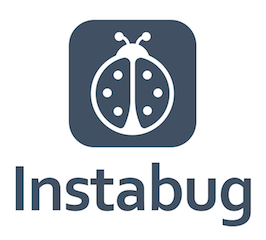 Receive Comprehensive Bug and Crash Reports for Your App — Instabug SDK allows developers to receive detailed bug reports directly from users by automatically attaching screenshots, device details, network logs, and repro-steps with each report. The SDK takes just one line of code to integrate. Try it now for free. Cloning the Uber App UI (in 3 Videos) — Follow along with programmer Varun Nath as he walks you through cloning Uber’s app user interface in React Native. Charles Proxy Now Available on iOS — A popular commercial proxy tool now lets you capture and inspect network requests and responses directly on iOS devices. Catching Up on AMP News — A review of recent AMP news including that non-AMP sites will be able to get into the Google search results carousel. The Truth About ‘Peak Smartphone’ — Recent reports suggest that we have reached ‘peak smartphone’, but do the facts line up with the opinion? Here’s a look at some hard data in an attempt to answer that question. Swipe Views with CSS Snap Points: Building a More Efficient Mobile Web Navigation — How to build swipe views for mobile that may help improve mobile web app navigation. An Introduction to Viewport Units — A look at how you can use vw, vh, vmin, and vmax in creative ways. Getting Your Hands Dirty with Flutter: Basic Animations — How to use basic animations in Flutter. Designing Jank-Free Apps — How designers can help prevent visual glitches in iOS apps. Build Better Apps. Your Free Pass to New Mobile Skills Is Here — You can learn a lot in 10 days—start a free trial and get unlimited access to expert-led dev courses and more. Animated Transitions in Mobile Apps — A review of common cases when functional animation can complement the visual design and support interactions in your mobile apps.